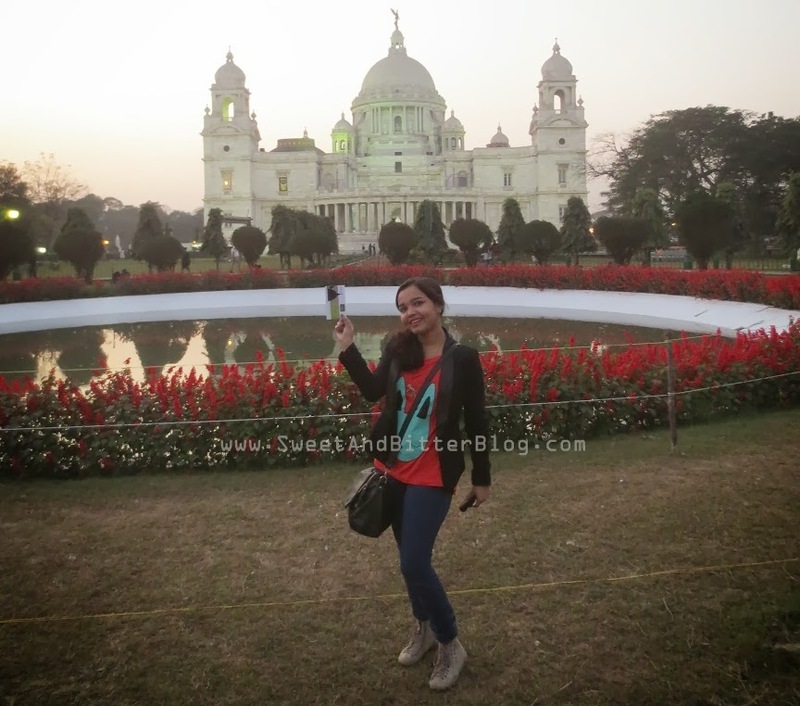 Thanks to Swarnali, I was able to be at the inauguration of the Kolkata Lit Meet '14 at Victoria. 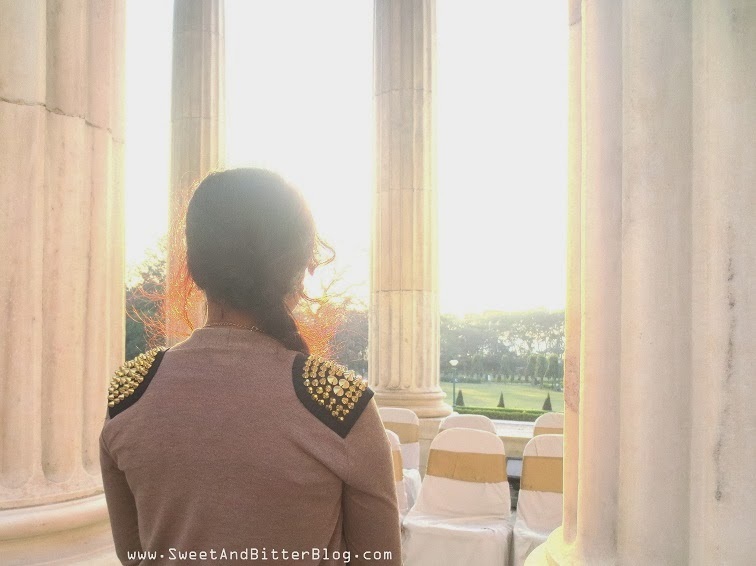 The inauguration and some great events after that all happened at the West Quadrangle of the Victoria Memorial. I got to know from Swarnali that this area is NOT for allowed for the general viewing of public. 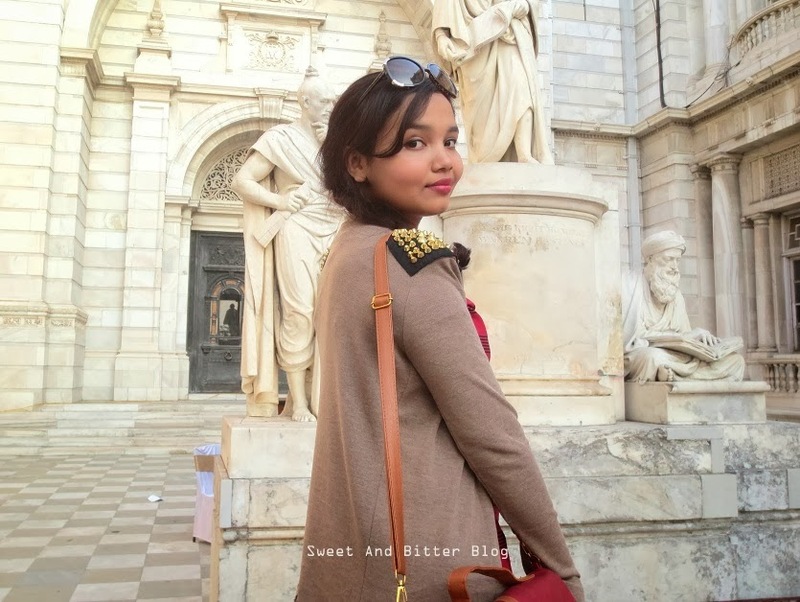 I was charmed by the beauty of the place so, requested her and her friend to take some clicks. 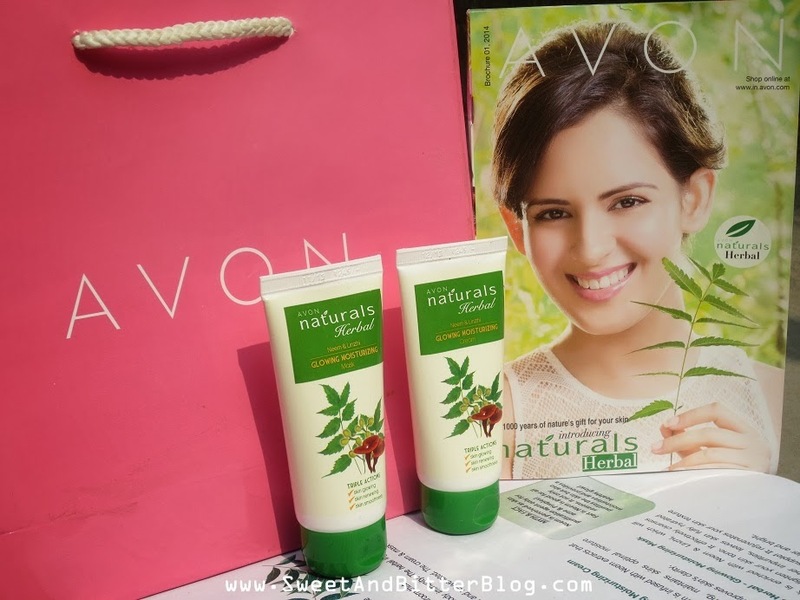 Recently, Avon launched 2 products in their Avon Naturals Herbals Range - Glowing Moisturizing Mask and Cream. This is too early to review but they have offers going on this month so, I just wanted to do a first look for the mask and cream. 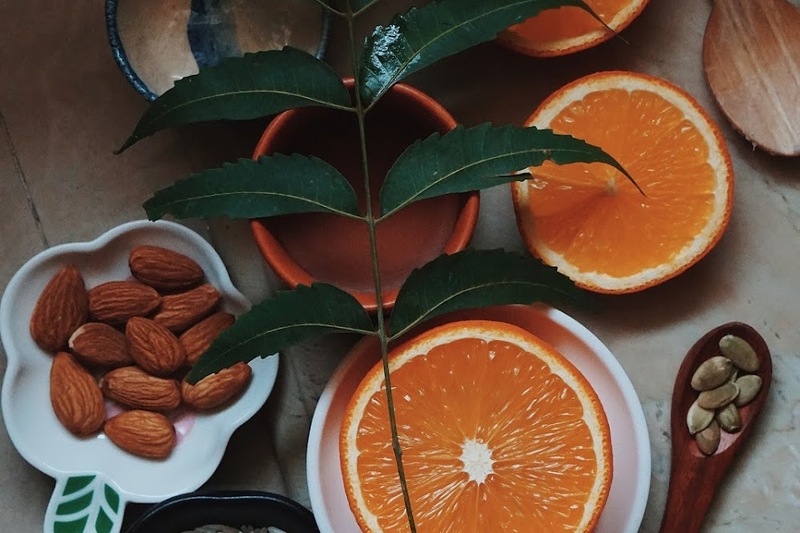 NEEM the herbal miracle is known to have brightening, moisturising, anti-bacterial, anti-parasitic, anti-fungal and anti-viral properties. This winter Avon launches Naturals Herbal cream and mask infused with Neem rich in anti-oxidants and essential vitamins for brighter moisturised skin from 1st use onwards! 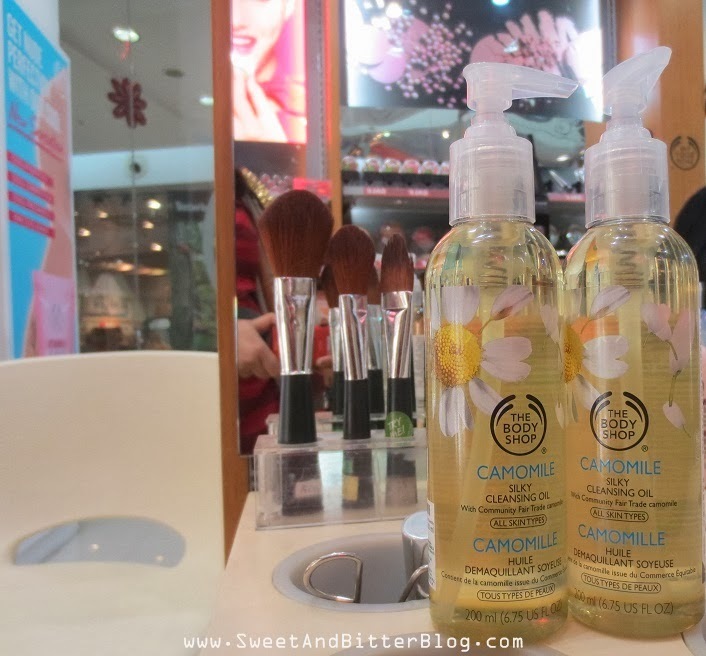 The Body Shop Camomile Silky Cleansing Oil - Rs 1095 for 200ml. I still have my THESE to finish so, NO NO for me. Sounds like a good product thought I am not sure if it is mineral oil free. 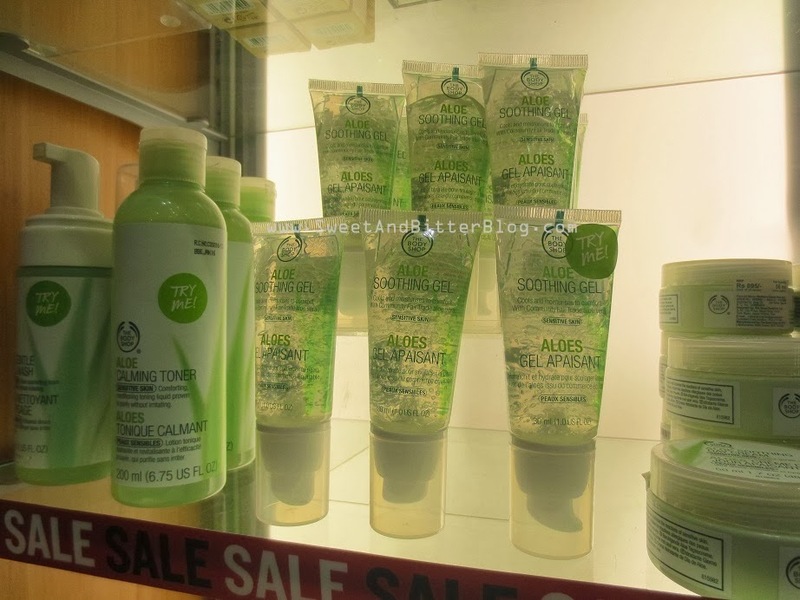 The Body Shop Aloe Soothing Gel ( ~ Rs 750 for 50 ml - need to confirm) - This look like a handy product because most aloe gels comes in unhygenic tubs or in bottles from which its tough to squeeze out. The Body Shop took an extra step to ensure continued delivery - a tube with a pump! I have never used anything in such packaging. Lucky me got the passes for the Prologue of Kolkata Literary Meet. Look how H-A-P-P-Y I am. And why not be happy? Jhumpa Lahiri was the guest of the day! 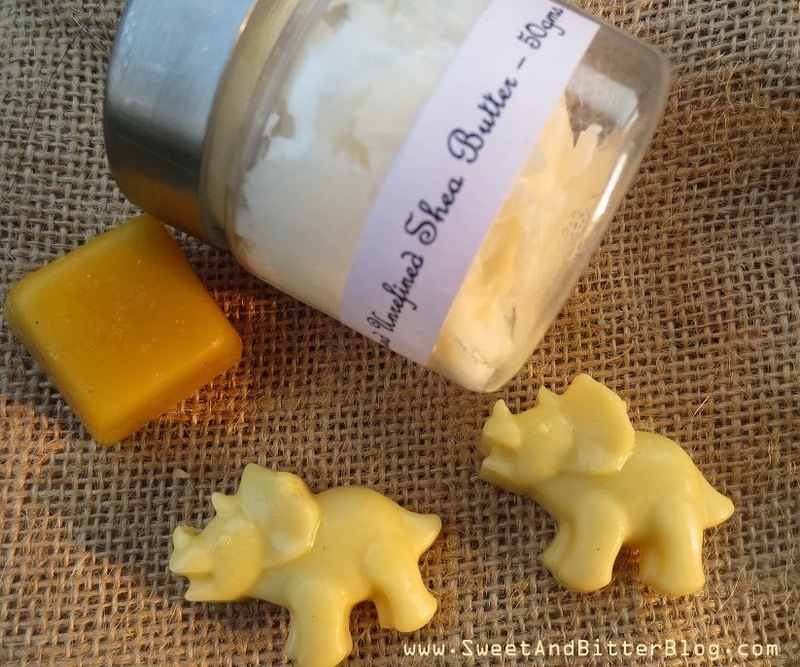 Where to Buy Unrefined Raw Shea Butter, Cocoa Butter and Beeswax in India? As you might have known that I have ventured into making my own lotions and body butter on a trial basis for now. Let me tell you that it is not a monkey business - needs loads of research and patience. I am giving half an hour each day in my busy schedule to know more and more about ingredients used in homemade lotions and butter. Most of the time, I have to chuck out things as most ingredients are not easily available in India. But, luckily we have Ekta from Green Junction for Unrefined Raw Shea Butter, Cocoa Butter and Beeswax in India. I have never seen such a dedicated Ebay seller. She was traveling after she dispatched the parcel but yet monitoring the status of the shipment. There was some delay due to fog but then who have won against nature? Look how beautiful the packaging is. I loved her attention to details - a cane basket which is recyclable tied with a ribbon Green in color with the brand name. The small gunny bag is made of jute (recyclable and safe for Planet). The tubs are polycarbonate biodegradable food grade pearl pet containers. I spend a lot on skincare because good ingredients and nice smell is all I strive for. I was meaning to create my own skincare products - lotions and butters - but I could never get good ingredients. Also, there not much motivation to be precise. But, after knowing that Lush is going to shut down, I need to speed up on my DIY projects. I am personally bored with the trend of lipsticks in crayon form. And I am yet to get any eye-shadow in crayon form (I do have the Rimmel one in mind) but when I found a BLUSH on STICK, I could hardly resist. 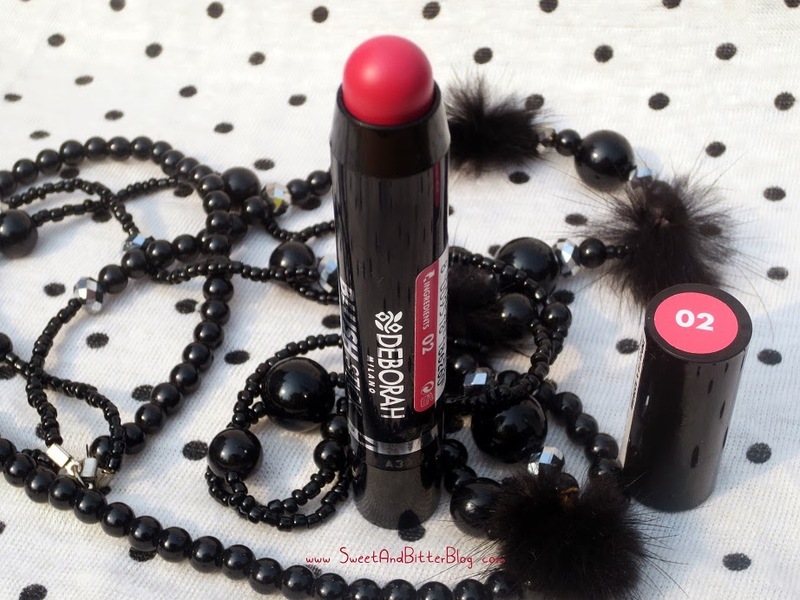 Yes, this is a BLUSH....on a stick.......retractable crayon form! 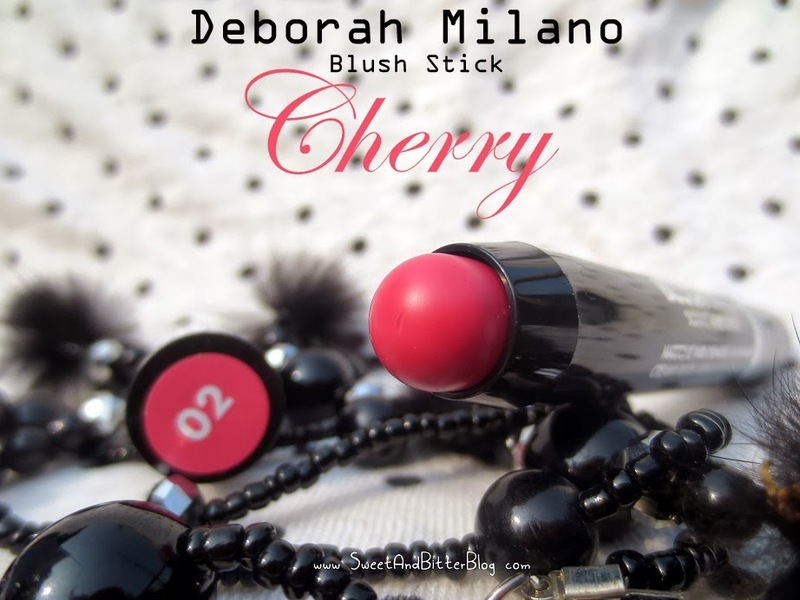 Part of Deborah Milano's Oriental Whisper Collection are two Blush Sticks - 01 and 02. 01 is Mahagony and 02 is Cherry. Is applying blush from stick difficult? Well, hmmmm.....we are used to using a brush so, all of a sudden this might look awkward. This is surely not meant for any professional person who can handle the complex stokes to get the perfect blush look. For a beginner, this will be nice. 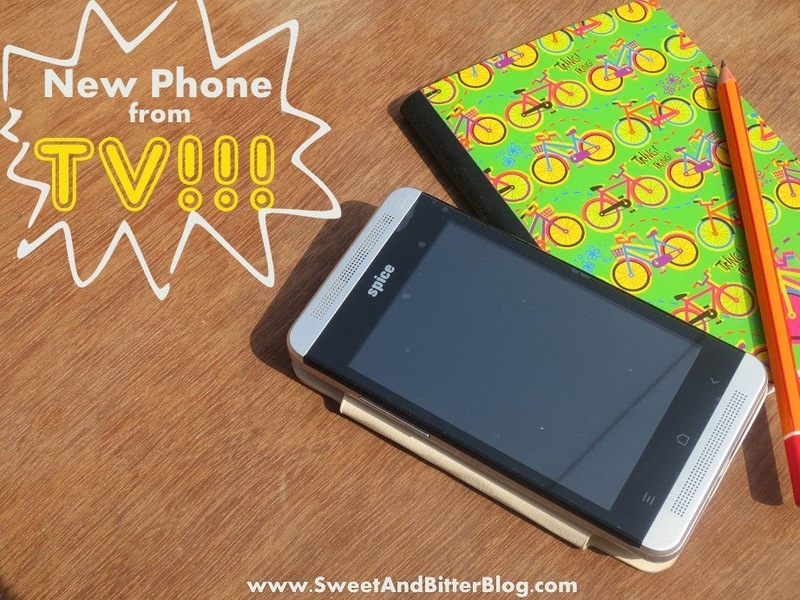 I treat this more like a fun kawaii product which is actually usable. How do you use it? I dab it on my cheek directly from the stick. Spread and blend with ring finger. Repeat to get the exact intensity needed. If you have a bit of insomniac in you or born in 80s show, you detest TV shopping. The Tele ads in TV on unearthly hours always have non-synchronized dubbing with a blond lady having all the troubles on the planet until she discovers the product that they are about to sell. They look more like credit card shams. All summed up – BORING and UNRELIABLE! HomeShop18 does not showcases at shady unearthly hours but 24*7 so, shop when you are comfortable. Plus, their customer service is online 24*7. Call them whenever you need help. The products shown are not out-of-the-world but something that any person will really need everyday starting from clothing to mobiles to accessories with a lot of the stuff exclusive to them. So, what you shop is actually of some use instead of the dishwasher-hair styler-sewing machine all rolled into one which you realize later is nothing more than an unusable thing eating up space in your storage. 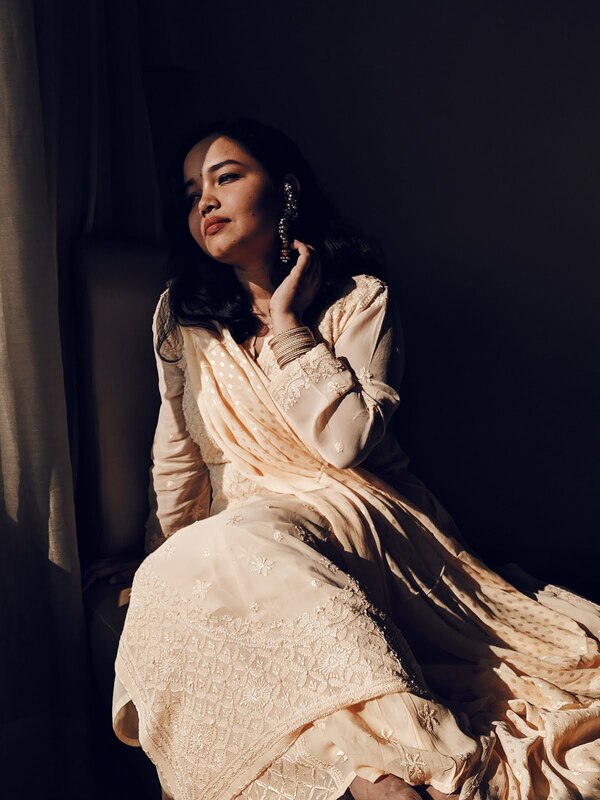 There are Indian who are showcasing the products so, you know how they will suit on any Indian body/skin tone. There are always some great offers going on. Always. Also, there is a deal of the day called BOSS which is shown everyday at 11AM to noon. There is a store near Forum Elgin Road called Rainbow Organics. I discovered this store last year. Being a person who puts ingredients list at the highest value, finding a store which sells organic products starting from essential oils to Ayurveda skincare to herbal teas to even chemical free floor cleaners, I was happy as a clam at high tide. I have not used the floor cleaners silly (because I cannot bring them home from that far), but I have tried some essentials oils and face masks. In fact, the best sudden discovery of 2013 will be the Vedantika Anti-Acne Mask. Sometime last year, I suddenly got pimples all over my face, and they were the burning ones. My skin was very sensitive as well. When I found the mask in a sachet, I decided to try because the risk of my money going to waste was less. The mask did magic for me, and the pimples were gone in 2 days. 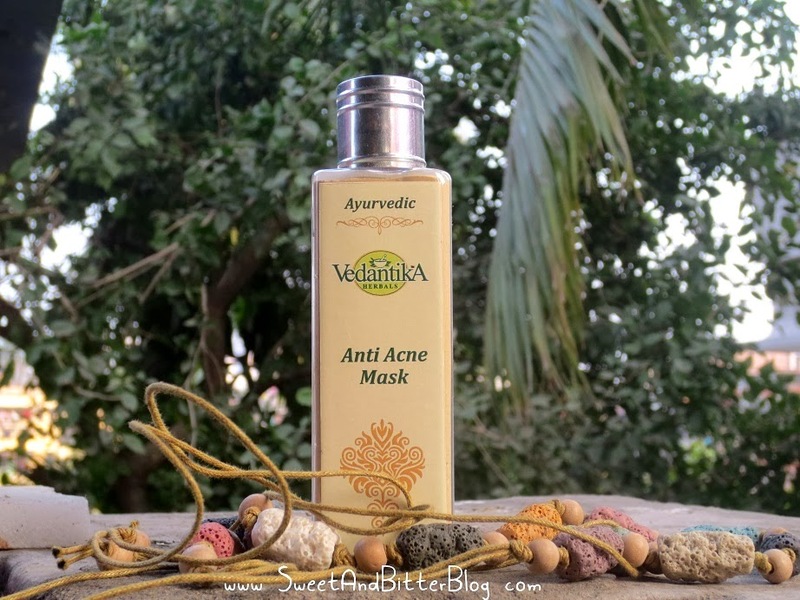 I cannot thank Vedantika Anti Acne Mask much for what it does for me. From that, I always use this face mask whenever I see any signs of new acne on my face. 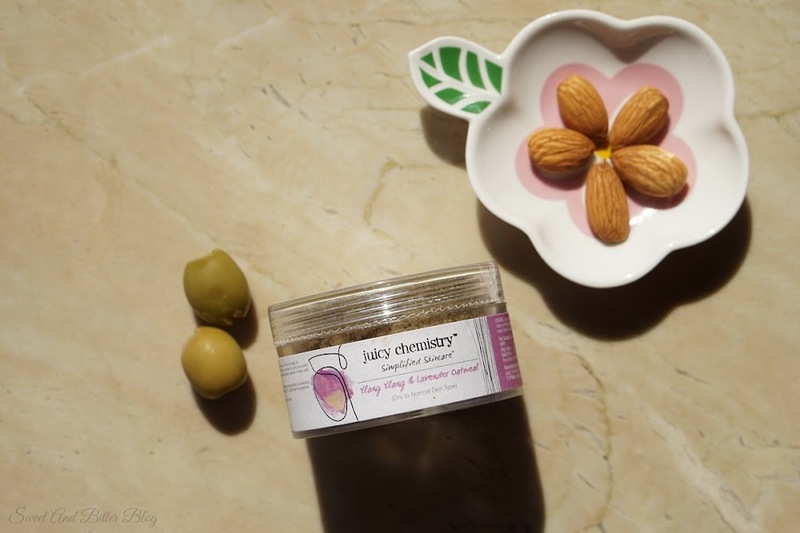 How I Use: When I do not have much skin trouble, I mix a quarter of a teaspoon of this with rose water and apply a thin layer over my face and neck. For troubled skin, I use more. I keep dabbing water on it to make sure it does not dry on my skin and after 20-30 minutes, I remove the wet mask using by scrubbing the mask in very lightly in a circular motion. 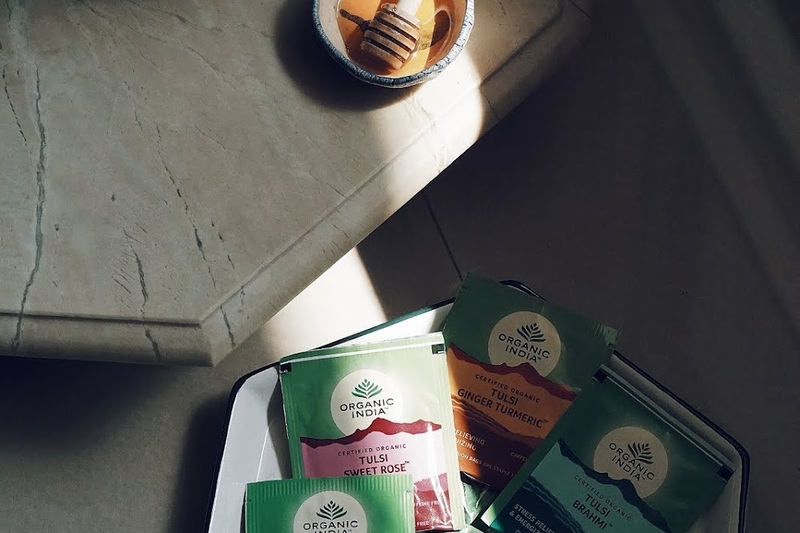 A sachet of 10 gms lasts 5-7 usages on average and lasts almost a month. I recently for this 70 gm bottle which was always OOS in the store. I c-o-u-l-d ONLY get 2 out of the 13 things from my wishlist. And I was not trying to invest my 'monnies' in other things because I was more pressed on the Snowman and Ginger Bread Tin set from The Body Shop and also, the School House gift set. I have lost count on the times I have Whatsapped or called the SA inquiring about the tin sets. And then on Saturday, I discovered THIS! 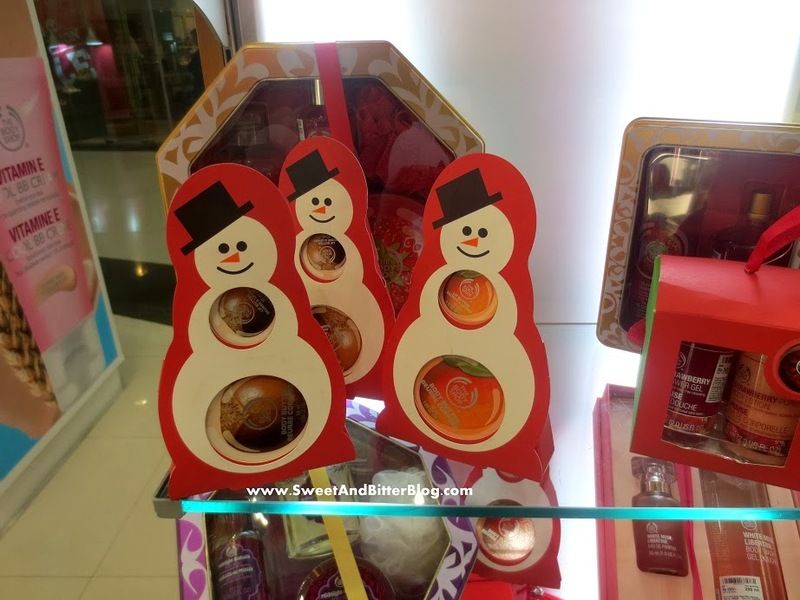 These paper cut Snowman gifts that have 50 ml body butter and a lip butter. These are available in Shea and Mango variants and priced at Rs 995. This might be helpful for someone who have just started on Body Shop but someone who is neck deep in The Body Shop products, this is a Joke! Plus, I am not a fan of their lip butter. 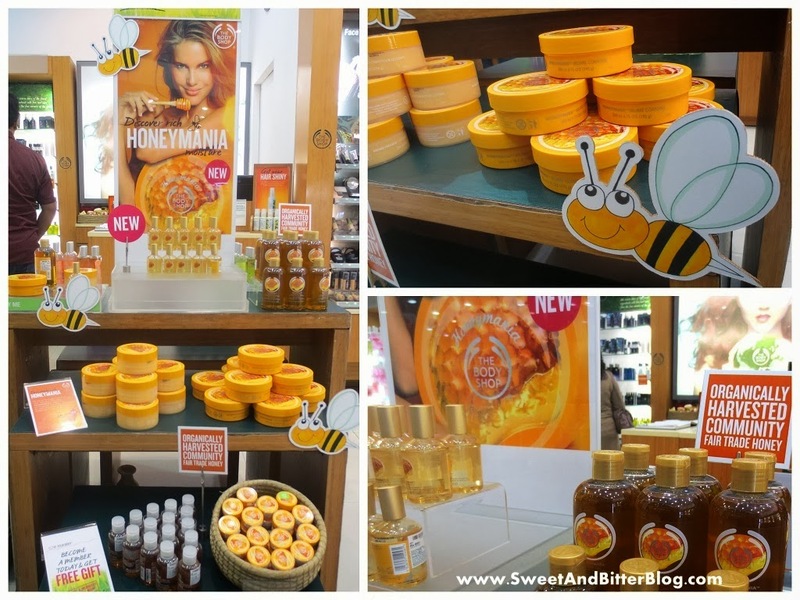 Additionally, The Body Shop Honeymania range is now available in stores. And this time you do not have to run to the store because this a CORE collection replacing Sweet Lemon range. The body butter, shower gel, lip butter, EDT and sugar scrubs are available as of now. The hexagon soap with a bees imprint and the bath belt from Honeymania is missing for now. Elie Saab Le Perfum Eau De Parfum INTENSE is Strong, Humongous and Lasts FOREVER! This is the first post for 2014 and I wanted to start with this cute bottle. But, please please please don't be deceived by this cute looking bottle. 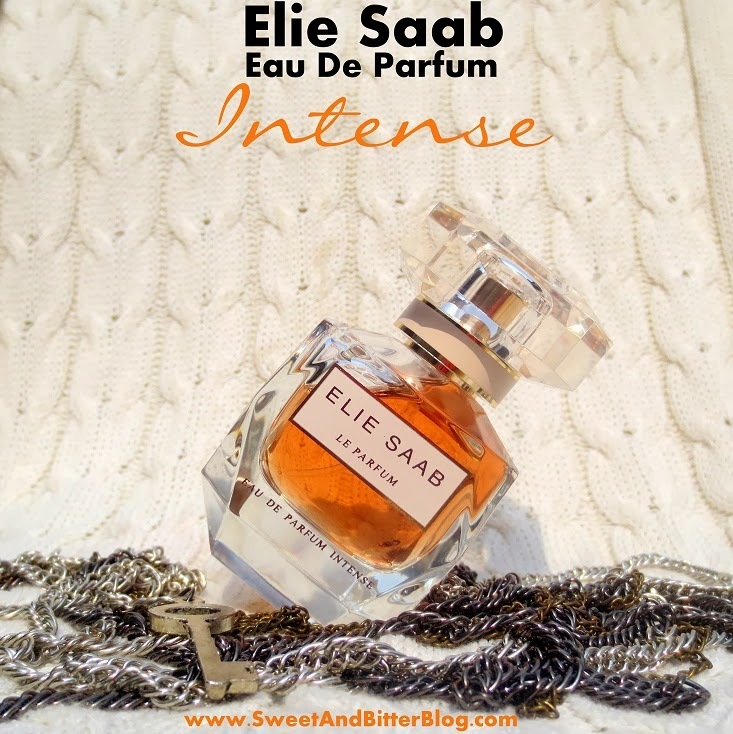 I discovered this in November when I just 'tried' it at store as it said 'Intense'. 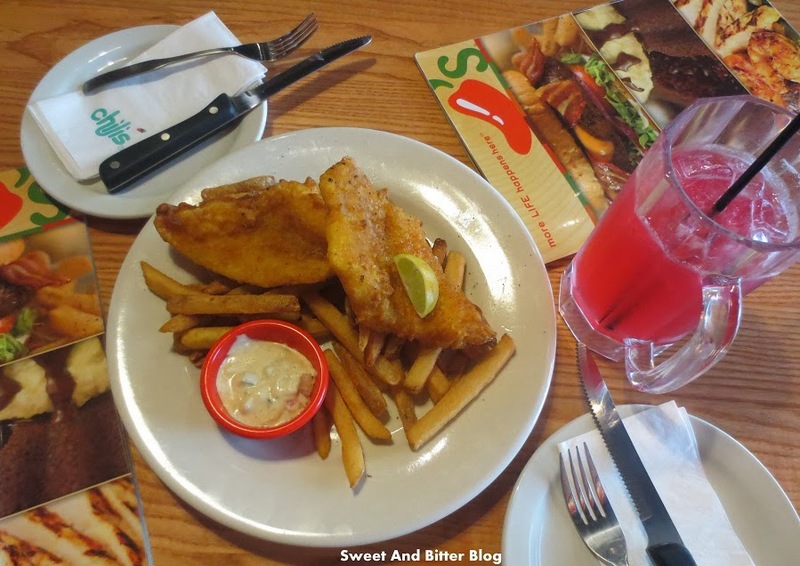 I went to the mall during lunch and my corner smelt of this the whole afternoon. I mean the complete corner! The silage of this perfume is HUMONGOUS.